Brown, I., Cajee, Z., Davies, D. & Stroebel, S. (2003) ‘ Cell phone banking: predictors of adoption in South Africa – an exploratory study ‘, International Journal of Information Management, vol. 23, no. 5, pp. 381 – 394. 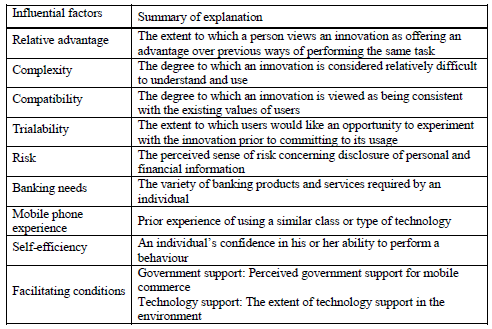 Duncombe, R & Boateng, R (2009) ‘ Mobile Phones and Financial Services in Developing Countries: a review of concepts, methods, issues, evidence and future research directions ‘, Third World Quarterly, vol. 30, no. 7, pp. 1237 – 1258. 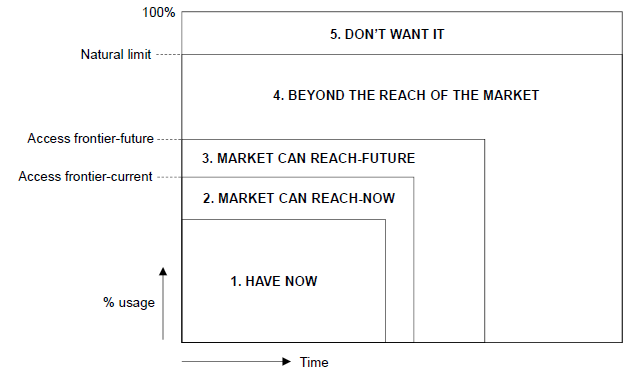 Porteous, D. (2005) ‘ The Access Frontier as an Approach and a Tool for Making Markets Work for the Poor ‘, DFID Policy Division [Online]. Rogers, E. (1983) Diffusion of Innovations, Free Press, New York. 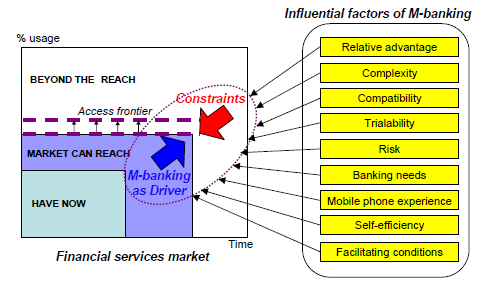 Takano, M. (2012) The potential of mobile banking to expand access to financial services for the unbanked in Africa: Case study in Malawi, A dissertation submitted to the University of Manchester for the degree of MSc in ICTs for Development.